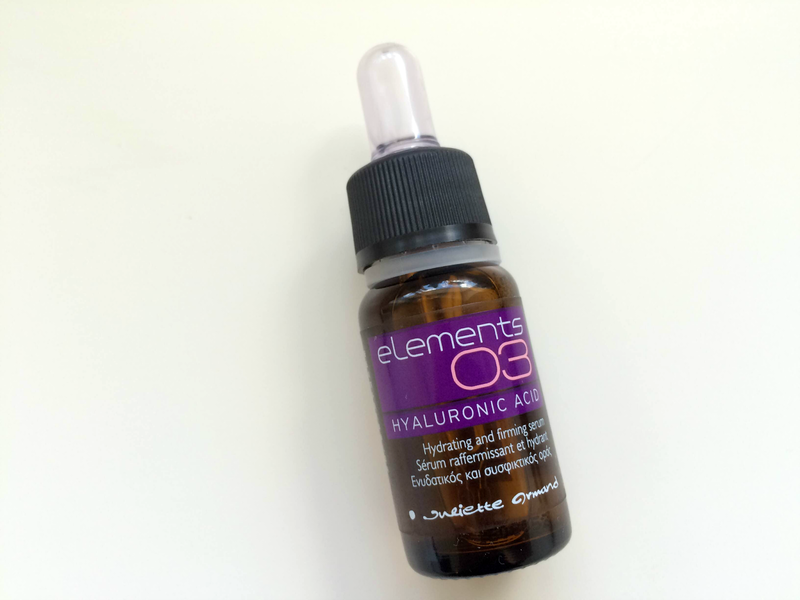 At first look when I read ‘hyaluronic acid’, I instantly thought “that is definitely not going onto my face” or “is that going to burn or peel my skin off?” and I couldn’t have been anymore wrong! Hyaluronic acid is actually a stuctural component of the connective tissue of the skin. Not the corrosive acid you would have used in your Science lessons (10 years ago for me now – showing my age!). It is said to retain up to 1000 times its weight in water, which is gradually released, thus enhancing skin moisture. Hyaluronic acid is a biomolecule with a strong moisturising and firming effect on the skin. This type of product is pretty much suited to all skin types, including my own which is oily/combination. This product mainly focuses on the de-hydration of the skin and it’s age group is primarily 30 – 60+, although I am only 25 going on 26, it is never too early to start aging treatments on your skin. The recommended dose each time for this serum is 1mm each time, although I perhaps may have applied a little bit more than that each time. I would normally just squeeze the pipette and put the product on the back of my hand before applying. It would essentially be the size of a 5 pence piece and was of a gel-like texture, it was just a really wet serum which I blended over the skin and worked it in very well, until my skin absorbed the product, which was quite quick. I like this product because it doesn’t leave a greasy after feeling and it feels as though you hadn’t of just applied product in the first place. I had been noticing before hand, a few fine lines around the face that had started to appear, now after using this serum, they are a lot less visible. My face looks a lot firmer than it was and it is finally regaining it’s youth, although I do look quite young for my age anyways. Everyone is always shocked when I am to tell them that I am 25 years old and 26 in a couple of months. The product works with the natural collagen in the skin and keeps everything in check, reinforcing the skin texture and restoring the skins moisture balance and vigour. This little 20ml pot of serum is a little bit pricey, coming in at an eye watering price of £32.50, so bit of a high end product. I normally wouldn’t be too swayed over the price, as I wouldn’t want to spend nearly as much as that on 20ml of product and considering you use 1ml per application anyways, that is only 20 applications in one pot. But for how good this product actually is and how my skin has been looking these past couple of weeks, the price doesn’t seem the bother me. As the product actually works better than some anti-aging products, it is definitely a product worth the splurge.